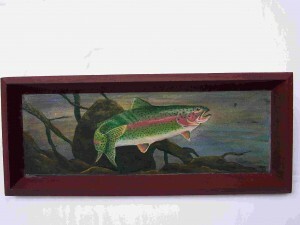 This Rainbow Trout painting is on a wine colored wooden tray. The outside edge of the tray measures 23.5 by 10 inches. The painted surface measures 20 by 7 inches and protected by 10 coats of polycrylic. This item matches two others in our Gallery. 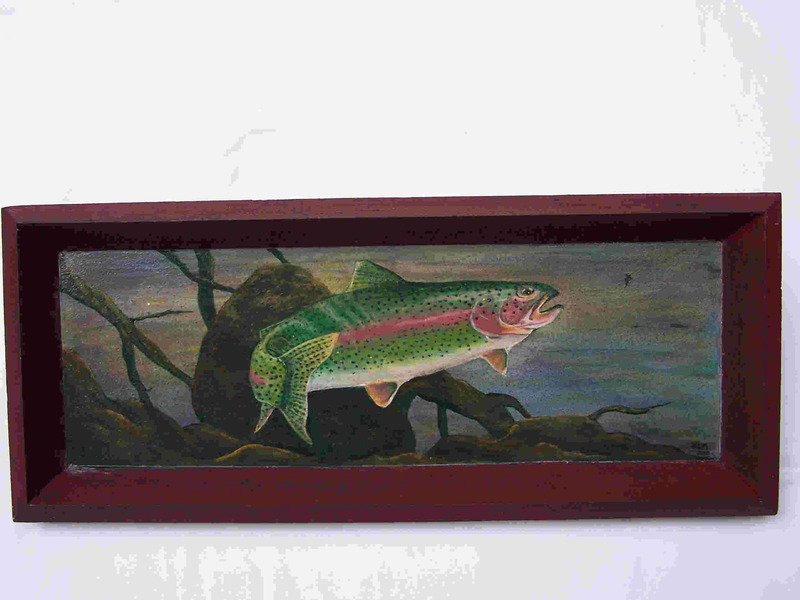 The coordinating pieces are of a Brown Trout on a black tray and a Brook Trout on a brown tray. You can find these additional items on the corresponding pages of our web site.